We tend to break complex tasks into simpler pieces. The self-defense community is particularly prone to this. We teach safety, marksmanship and concealed carry. Later, you might learn self-defense. We talk about education, instruction, practice, training and testing as if everyone used these terms correctly. I’ve even heard a politician say that humans are not trained at all. We talk about one piece of armed-defense at a time and make it sound simple. That doesn’t mean it is easy. When it comes to self-defense, the entire body of knowledge is much more powerful than the sum of its parts. Self-defense uses every faculty we have. It is both cerebral and it is physical. It is both academic and automatic. It is the larger whole that matters rather than the easy-to describe pieces. So what is our path to self-defense? Where will we go as we become competent defenders? 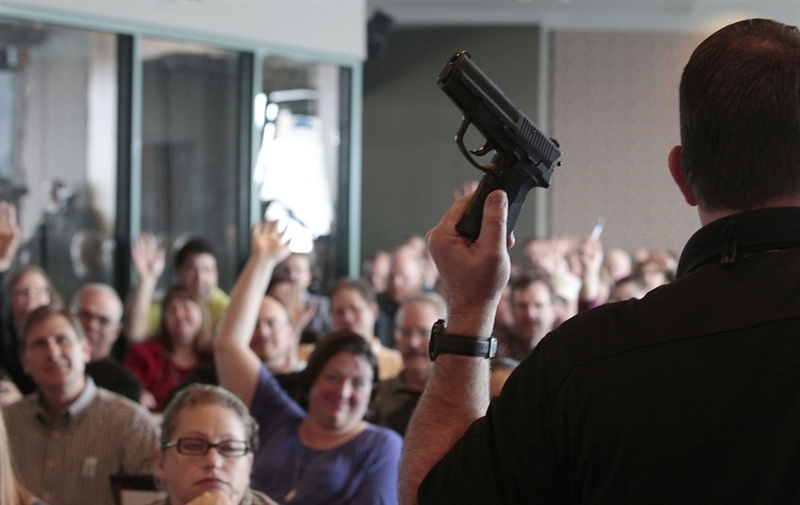 Firearms education covers the facts and principles that govern our response to a threat. We learn about the legal use of lethal force. We learn how guns operate. We learn best practice to defend ourselves as we travel and in the places where we congregate. We learn the psychological effects of interpersonal violence. This is the academic side of self-defense. The intellectual side, the part we do with words, is only a small part of a larger practice. It talks about, but can not replace, the actions of self-defense. Academics forget that armed defense is a practice. We use tools that are designed for a single purpose. Using them effectively requires both speed and precision. We have techniques that work for most of us most of the time. It is easiest to learn these techniques by having an instructor demonstrate them right in front of you. Instruction shows us precisely what to do. It is the expressive side of communicating a skill, but seeing a demonstration isn’t enough. Learning takes time and feedback. We concentrate on the details and imitate what we saw our instructor do. We demonstrate the new task slowly so an instructor can correct us. We discover that we misapprehended the desired actions. This is the feedback portion of communication where we have our motions refined until they match the desired form. The feedback portion of instruction completes the cycle of communication. Now we know what the correct motion feels like even though it is unfamiliar. We’re taking baby steps at this point. Now we know what to do but that doesn’t mean we can express our new skill on demand. In order to deliver these precise motions on demand, we must make them our own. We have to think about them in a different way. We have to move these new activities from our descriptive memory to our procedural memory. We stop talking our way through the motion and just do it. That takes time and practice. Practice is where we refine the quality of a motion or technique. A single exposure isn’t enough. We need to repeat a motion to learn it and make it automatic. We also have to stop doing the motion so we can consolidate it in our short-term memory and transfer it into our long-term memory. That transfer happens as we sleep. That is the reason we don’t really learn a new skill in a single day. 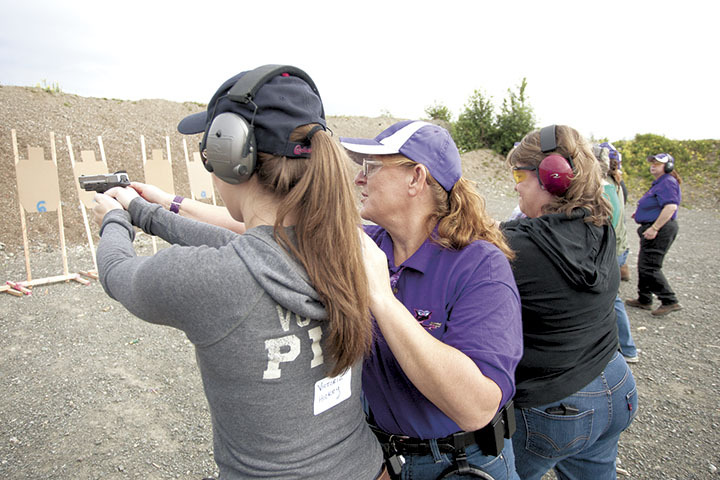 Training is what most students have in mind when they want to shoot a gun. This is where we go faster during our draw stroke. This is where we back away from a target and add precision to our trigger control. This is where we speed up and refine a skill. This is also where we combine tasks into real world scenarios. You respond to a visual and aural que. You give verbal commands as you move. You present a firearm as you back up. You reload as you move to cover. How do you know if you’ve learned a skill? You submit yourself to testing and evaluation. Fortunately, there are standard tests so we can see how we compare to others. 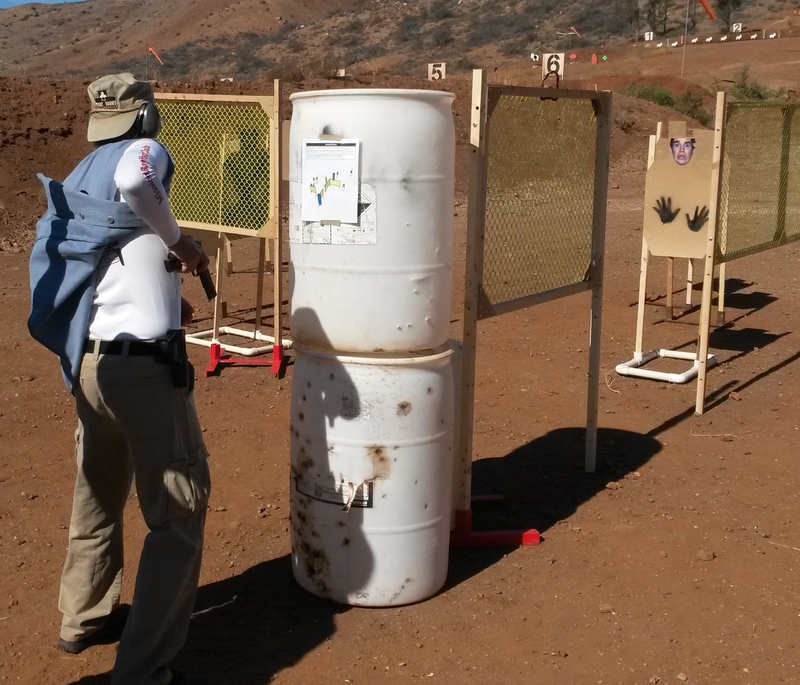 The IDPA qualifier is one. The FBI qualifier is another. Some instructors can record you on high-speed video and take your performance apart frame by frame. There are countless rungs on the ladder of self-defense and we climb them time after time. Shooting is the easiest part even though it seems the most intimidating feature at first. If you reach a plateau in your shooting performance, then study the legal aspects and situational avoidance as you take a break. Self-defense is a thinking man’s game so there is always more to learn once you know the path. ← Where do These Gun-Lies Come From? Great article, but way to much in it to comment on right away, you have given me (and others) quite a bit to think about. Well done once again Rob!